Day 7 Passover Week 2013/ Are You a Secret Follower? Today is Saturday, the 7th Day in this Holy Week. A few observations as I look into my Bible. Today the body of Jesus lay in the tomb, where it was being guarded throughout the day on Saturday, that was the Sabbath, and so when the Sabbath ended at 6 p.m. on Friday, the body was ceremonially treated for burial with spices bought by Nicodemus, one of the Pharisees who was a ‘secret follower’ of Jesus. Nicodemus actually had brought about 75 lbs. of perfumed ointment that was made of myrrh and aloes. Following Jewish burial customs, they wrapped His body with the spices in long sheets of linen cloth. Nicodemus, like Joseph of Arimathea was a member of the Sandhedrin, the court which had condemned Jesus to death. Both men had lived lives as ‘Secret Followers’ of Jesus, afraid to make a public profession of faith because of their prominent positions in the community. Similarly, both Nicodemus and Joseph were deeply affected by the death of Jesus. Both, came boldly out of hiding, and risking their reputations and their lives, because they now realized that Jesus was indeed, the long awaited Messiah. While the physical body of Jesus lay inside the tomb, Jesus paid the penalty for sin by offering the perfect, spotless sacrifice. When Nicodemus and Joseph took the body of Jesus from the cross, they defiled themselves and were not able to eat the Passover. But, what difference did it make? They had found the Lamb of God! How sad that the disciples had forgotten that Jesus promised to rise from the dead on the third day, but His enemies remembered. Pilate permitted the leaders to set a guard at the tomb. This guard put an official Roman seal on the stone. All of this was of God, for now it was impossible for anyone — friend or foe — to steal the body. Without realizing it, the Jewish leaders and the Roman government joined forces to help prove the resurrection of Jesus Christ. 1. If Jesus kept His promise, than we need to check and see if we might be “Secret Followers” of Jesus, only coming out on special occasions like Christmas, or Easter. We need the boldness of Nicodemus and Joseph to come out of our closets and be seen as followers of Jesus all the time, that we won’t wait until the convenient moment to be seen as Christians. 2. Nothing, could keep Jesus in the grave. He simply did what He said He would do! 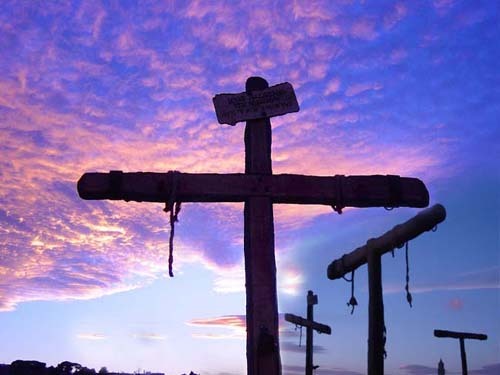 There is still time left, do you know someone who if Jesus would return for His Church; and yes, it could even happen tomorrow on Easter; do you know someone that if He did return, would spend eternity in hell? Pray with me that God would bring Divine appointments for me to ask someone to come to the Sunrise Services, or church and take the bold step of Joseph and Nicodemus, to not just know about Jesus, but to know Him personally. You can do that right now. 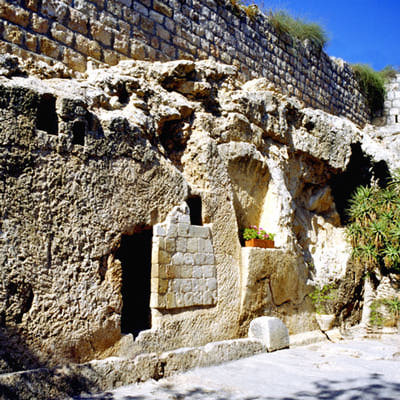 Next Joy To The World…He Is Risen! Hallelujah!